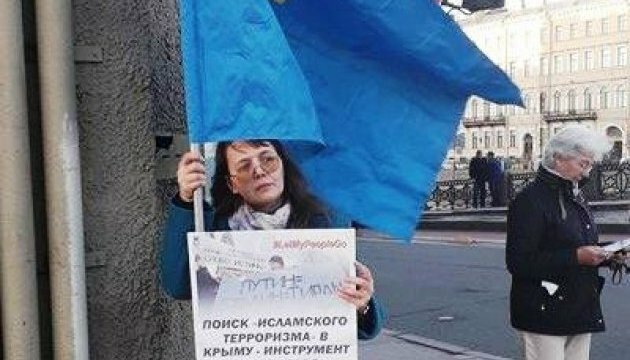 On Wednesday evening, the activists held the rally in support of Crimean Tatars on the Nevsky Prospekt in St. Petersburg within the framework of the indefinite action Strategy 18. 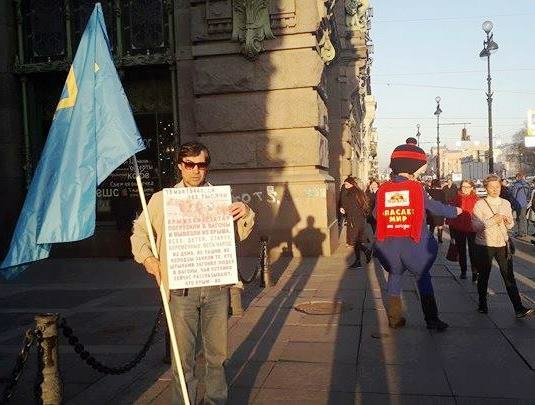 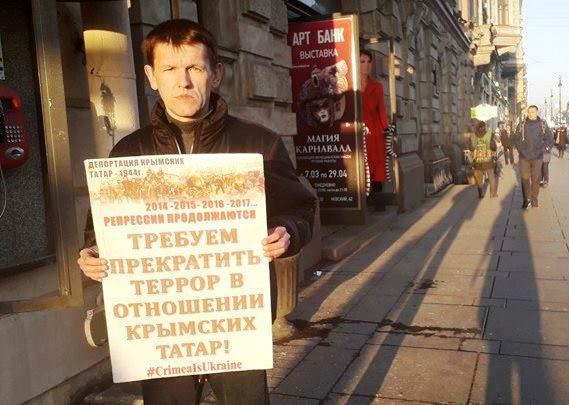 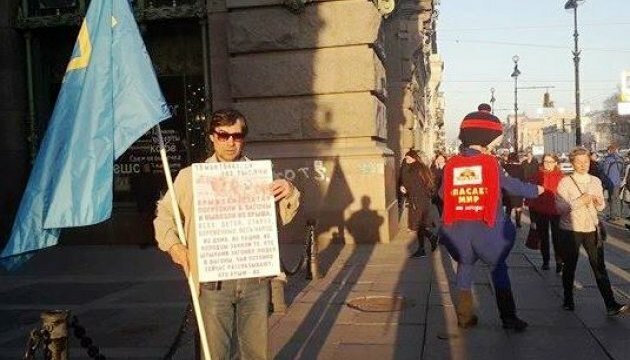 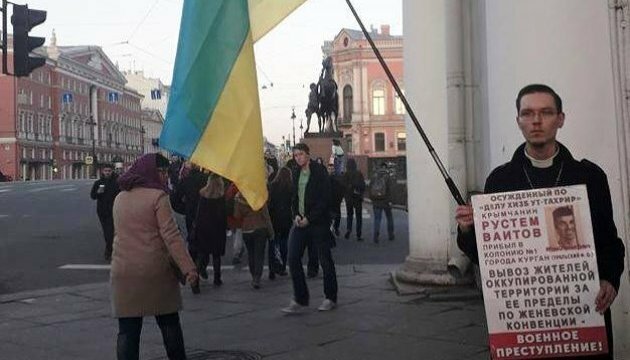 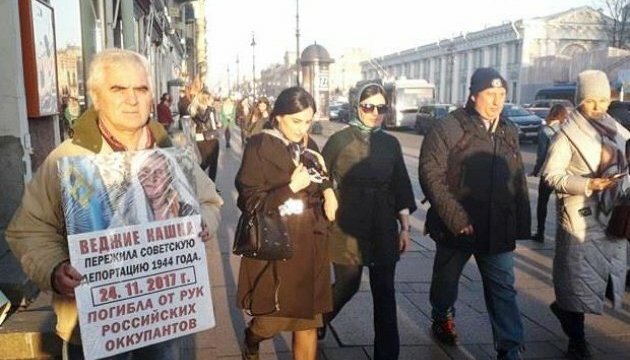 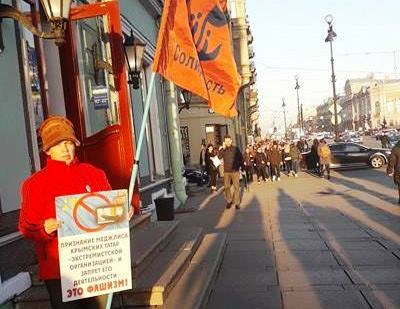 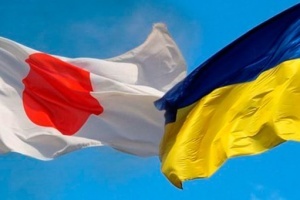 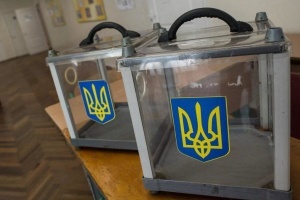 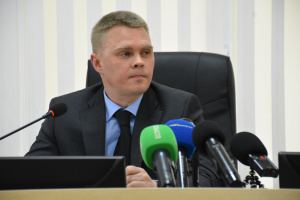 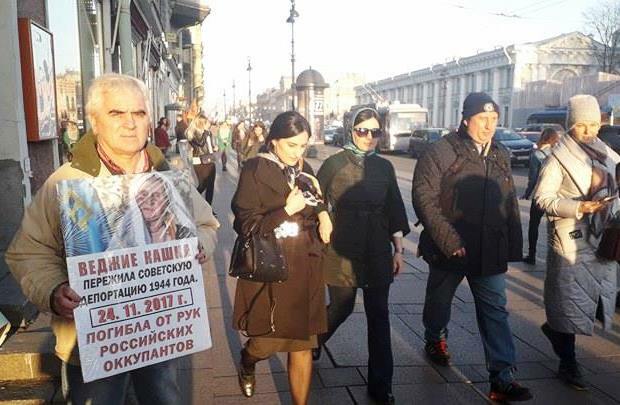 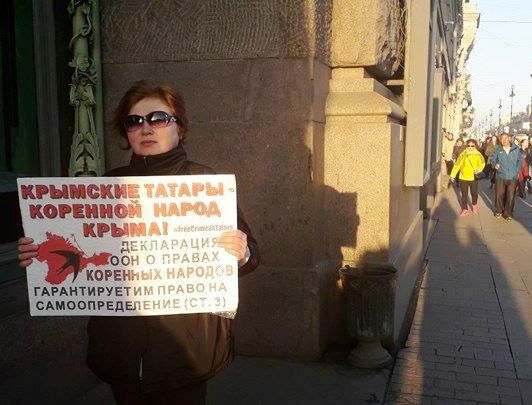 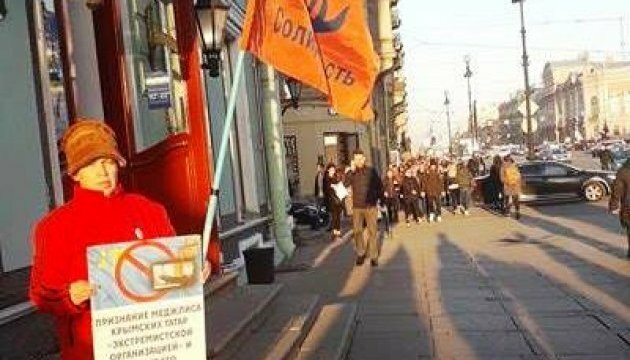 “The participants in the St. Petersburg pickets reminded that human rights in Crimea were grossly violated after the annexation of the peninsula, and most of the victims of political persecutions were the Crimean Tatars who experienced threats, surveillance, illegal arrests and searches, kidnappings on the street or from home, control over those who go to mosque,” the St. Petersburg Solidarity reports on Facebook. 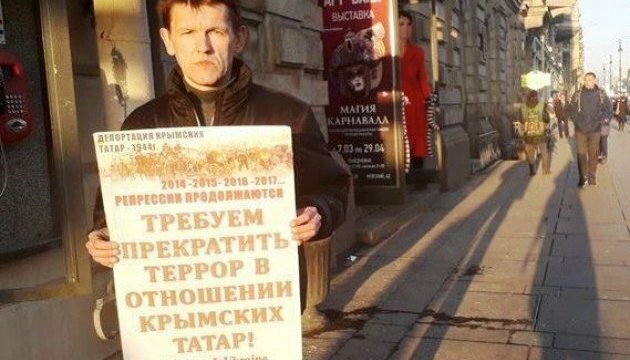 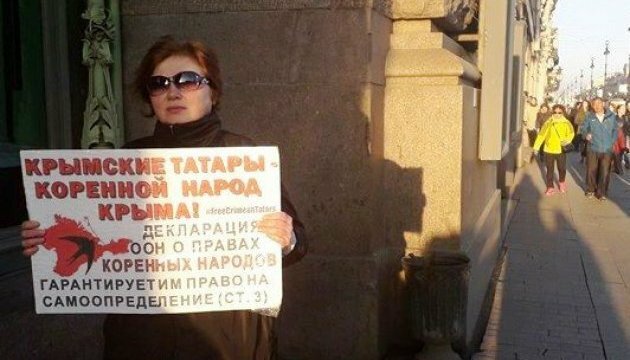 The activists held the posters with the demands to "Stop the terror against Crimean Tatars", stop the prosecution – give "Freedom to detainees in the Hizb-ut-Tahrir case", recalled the tragic death of Vejie Kashka, who survived the deportation of 1944 but was killed with the actions of Russian invaders on November 24, 2017. 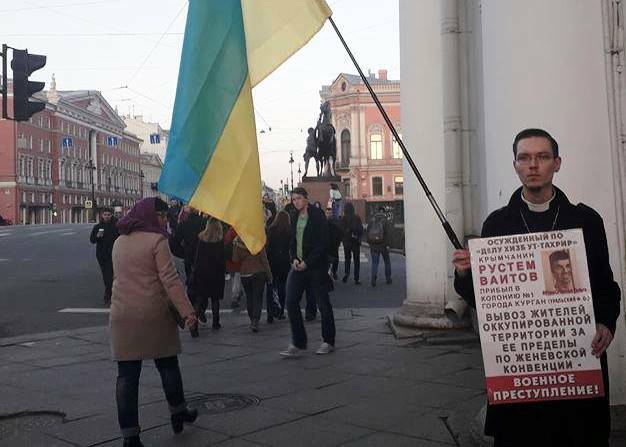 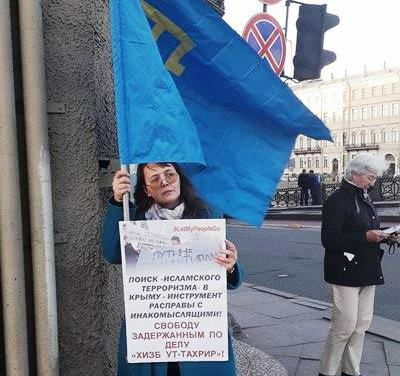 The single-person pickets are held in the center of St. Petersburg on the eighteenth of every month (reminding of the deportation of Crimean Tatars on May 18, 1944).